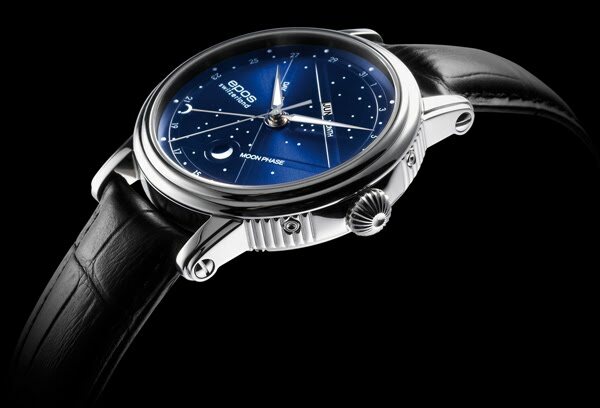 The 3391 by Epos offers a magnificent showcase to the moon and its many faces. The midnight blue dial is strewn with white dots that form a starry sky. In the centre of this 41mm map of the heavens in steel are the day, month and date, the latest shown by a central hand. Luminescent hands complete this cosmic picture by day and by night. The moon waxes and wanes at 6 o'clock. An original layout that will delight aficionados of finely-crafted watches.